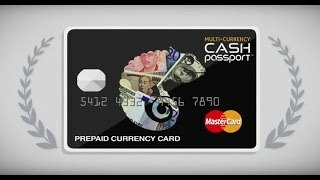 Prepaid cards are stored value cards that may be Visa or MasterCard branded which allow card holders to access funds deposited to an account. A prepaid card can be used to withdraw money or pay for goods and services. With a Visa prepaid card, you can load money onto the card and use it at any merchant that accepts Visa. Visa does not sell prepaid cards directly to the consumer. Prepaid cards are issued by MetaBank ®, Member FDIC. Visa ® prepaid cards are issued by MetaBank ® , Member FDIC, pursuant to a license from Visa U.S.A. Inc.. Visa Prepaid Cards may be used everywhere Visa debit cards are accepted.